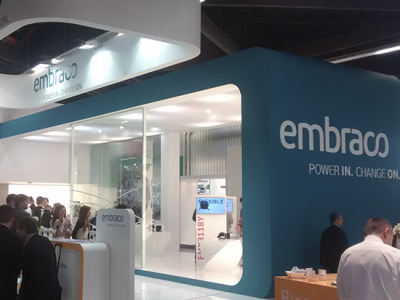 Embraco’s participation in the main business fair for the Latin American refrigeration sector (Febrava) was marked by the launch of innovative, complete and efficient solutions for commercial refrigeration. • Plug n’ Cool: complete solution of high energy efficiency directed to vertical applications of supermarkets – for cold displays and for frozen ones. • Compressor FMFT BIVOLT: one of the most efficient on the market, ideal for frozen islands, vertical ice cream freezers and cold displays. • Dorin semi-hermetic compressors: for supermarket racks, a worldwide trend because of sustainable appeal and technology. • UpPoints: Startup that developed an innovative system of image recognition and performance analysis of sales of products at the point of sale. 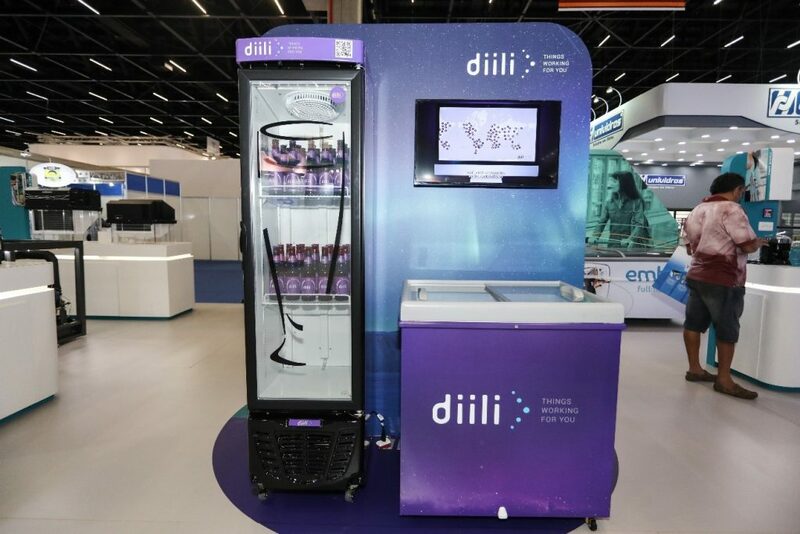 • diili: Internet solution Things for brands of beverages and foods to increase sales and reduce losses from better management of freezers and refrigerators at points of sale. 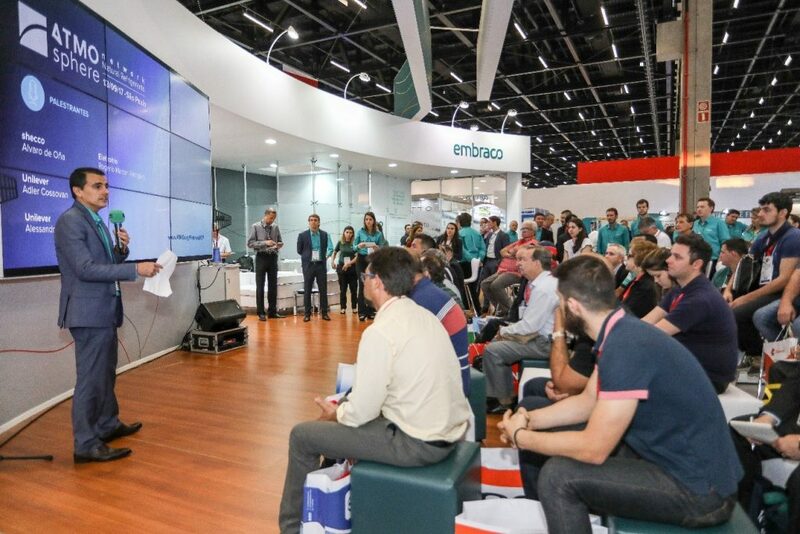 • ATMOsphere Network: for the first time in Brazil, the event encouraged the use of natural soft drinks in commercial applications. 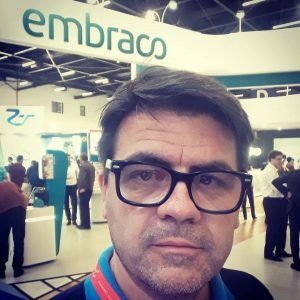 The owner of CTR – Centro Técnico de Refrigeração, in São Paulo, Daniel Demetrius Bernardini, 45, from São Paulo, was one of those who visited the Embraco booth. He says he went to Febrava to keep up with market trends and strengthen his relationship with the company. Among the highlights, he cited the Fullmotion compressor. 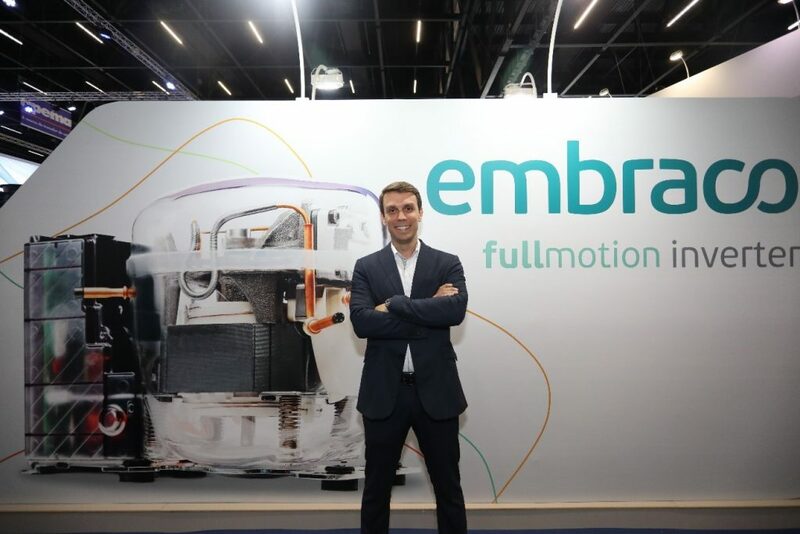 “I attended the lecture on the Embraco Fullmotion compressor and was very impressed with the embedded technology and its ability to save up to 40% of energy,” he recalls. According to Nunes, the combination of customer information and experiences and Embraco’s knowledge helps create a business model that is aligned with the needs of the market. One example is the Plug n ‘Cool solution, which has a high energy efficiency for the vertical applications in supermarkets – for both cold and frozen. It is simple, compact and aims to optimize features like time, cost of installation and maintenance. Plug n ‘Cool uses the R290 (propane) natural refrigerant, has low noise and consumes less energy. As this system does not need an engine room, it allows for gains in internal store space which is important for small and medium sized supermarkets. “Plug n ‘Cool is an example of customer focus. We have heard that the supermarket sector faces challenges such as lack of space, maintenance and high energy costs. To bring benefits to the public, we have developed this and other solutions that position us a step forward in technology while always bringing the new (tech) in energy efficiency, performance, noise, reliability and competitiveness, “explains Daniel Campos. Embraco’s participation in the 20th Febrava was also marked by the presentation of new businesses, among them diili Internet solution of Things that contributes to brands of beverages and food and increases their sales and reduces losses from the best management of freezers and refrigerators at points of sale. It is the commercial refrigerator gaining a voice for the first time; not one, but hundreds of thousands of units installed without a field. The technology developed based on the Internet of Things (IoT) understands the operation of freezers and commercial refrigerators. It indicates the location of the equipment and alerts when there is a lack of inventory, has failures or a need for preventive maintenance. In addition, it uncovers consumer behavior at the point of sale, allowing for a more complete analysis of the performance of the products on display. The intelligence generated makes the brands better known to the consumer and, from this, can help make strategic decisions to increase sales and reduce maintenance losses by up to 10% – diili has the potential to reduce energy consumption by 15% in Refrigerators. Another highlight during Febrava was the coming of the ATMOsphere Network for the first time to Brazil. 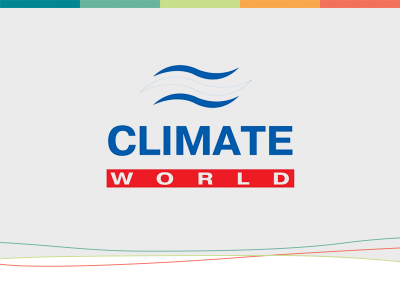 A defender of natural refrigerants, the event aims to discuss the benefits of using these fluids and encourage the market to seek technologically viable and efficient alternatives to commercial applications and present global trends for the future of refrigeration. 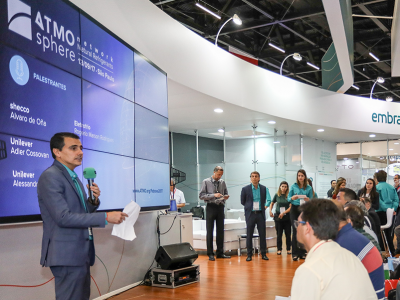 The opening of the ATMOsphere Network was made by Embraco President Luis Felipe Dau, who emphasized to the participants the importance of migration to the use of natural refrigerants such as CO2, R600 and R290. It was an important moment for the exchange of good practice experiences with other companies, universities and the government. These groups are committed to innovation and sustainability such as Embraco, which develops compressors that use natural refrigerants and believes that its use is the ideal solution for the future of refrigeration.